To register and pay by check for the 73rd Annual Convention & Marketplace, please fill out the Onsite Registration Form and bring with you along with your form of payment to the conference. Onsite registration opens Sunday, October 9 at 1:00pm. Youth Agenda is now available! Review the consideration of Amendments to NCAI Constitution, Bylaws regarding Executive Committee Qualifications, Vacancies and Voting Process in Caucus. Please book online or call 1-888-421-1442 and ask for the "National Congress of American Indians" block to reserve a room at the group rate. Please book online or call 1-800-309-8138 and ask for the "National Congress of American Indians" block to reserve a room at the group rate. September 16, 2016 is the hotel cut-off date for group rates. If you have trouble reserving a sleeping room, please contact Amy Gay to be included on the wait list. Below are tribally owned properties that are offering discounted rates to attendees. Please note shuttle to the Phoenix Convention Center is not available for the below properties. 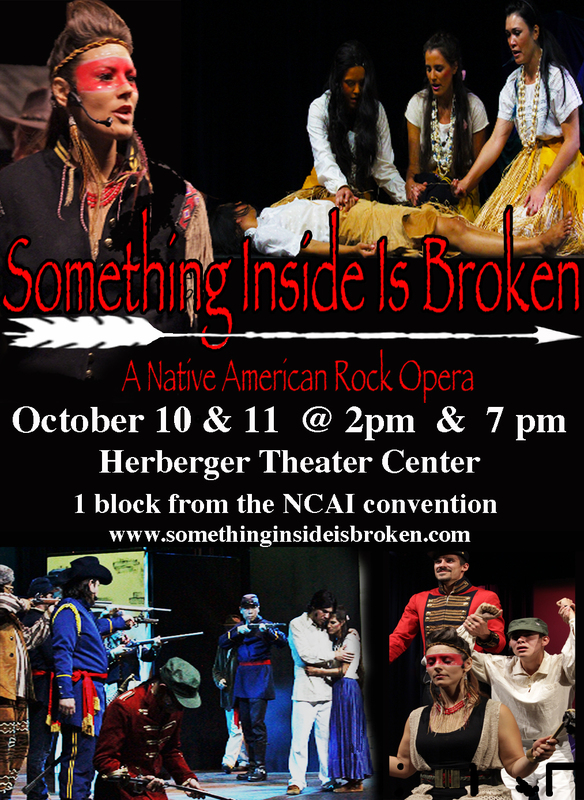 Please call 480.789.5300 and mention National Congress of American Indians or reserve here. 5040 W. Wild Horse Pass Blvd. Please call 520.796.4900 and mention National Congress of American Indians. Below are tribally owned properties in the area. NCAI is co-sponsoring a full-day National Tribal Water Summit on October 9 from 9:00 A.M. to 4:00 P.M. to begin the 2016 NCAI Annual Convention and Marketplace in Phoenix, Arizona. The Summit will feature panels on: New Frontiers in Indian Water Rights Litigation and Protection; Water Rights Implementation and Economic Development; Protecting Tribal Water Quality; Climate and Drought Impacts On Indian Country's Water Resources; and Developing an Action Plan for Furthering Tribal Water Rights. There will also be a Keynote Lunch Address on Indian water rights settlement policy and Indian water settlement agreements. If you would like to become a vendor at our Marketplace please click here. Want to get involved with NCAI's 73rd Annual Convention & Marketplace? Become a volunteer today! Economic Tour- First 100 RSVP's are Free! * NCAI assists in meeting space for Consultations and Listening Sessions during the Annual Convention as a benefit to all tribes. These sessions do not require NCAI registration. Attend a dialogue with the Administration for Native Americans (ANA), the Bureau of Indian Education (BIE), and the White House Initiative on American Indian and Alaska Native Education (WHIAIANE) to discuss progress made to date in better coordination across federal programs and removing barriers to accessing federal resources, as specified under the Native American Languages Memorandum of Agreement, signed in November of 2012. The three agencies will also highlight a recently issued Native American Languages Progress Report (expected publication September 2016). This report will include guidance for how federal agencies can further improve and support goals of the Native American Language Act. After the Interagency Native American Languages Dialogue Pre-session workshop, the NCAI Native Languages Task Force will meet to discuss Native American Language Prevention from tribal leader’s perspective. The National Institutes of Health (NIH) will host a tribal consultation session to hear feedback from tribal leaders on tribal priorities related to environmental health and mental health. The NIH mission, primarily achieved through research, research training and the dissemination of research findings, is to seek fundamental knowledge about the nature and behavior of living systems and to apply that knowledge to enhance health, lengthen life, and reduce illness and disability. The NIH will provide brief presentations on select programs and policies during the consultation and then will solicit input on each topic. There will also be time for an open discussion in which all relevant topics can be considered. For more information, please contact Robin Kawazoe at NIHTribalCommittee@od.nih.gov. The Department of Interior will host consultation sessions to obtain the tribes’ perspectives on the current process of negotiation and reviewing Indian water rights settlements and potential improvements to the process. For more information contact Martin Von Gnechten at Martin_vonGnechten@ios.doi.gov. BIE seeks input on how to implement strategies and activities in response to the Department of Education’s requirement to assure that all students have access to qualified and effective educators. DOI, DOJ, and Army are hosting a listening session on how the Federal Government can better account for and integrate tribal views on future infrastructure decisions throughout the country. The BIE invites tribal leaders and educators to participate in a consultation on development of its State plan as required by the Every Student Succeeds (ESSA) Act. In its State plan, BIE will describe how it will implement ESSA, get a comprehensive picture of school success, provide support for struggling schools, offer better data for parents and communities, develop a streamlined school improvement plan, and promulgate regulations for implementation of a new accountability system. The BIE is seeking input on all components of the new State plan other than the new BIE accountability system, which will be developed via negotiated rulemaking. To learn more about being a member of NCAI please visit our membership page. To register for an NCAI event, you'll need to login to our secure online registration system. Here's how to do so. When you click the "Register Now" link on an NCAI.org you will be sent to a page to log in to the system. If you already have your log in information all you need to do is enter your username and password and you'll be taken directly to the specific event's registration forms. If you're a member and you've not received your login information, or you've misplaced it, follow the instructions to have your login information sent to you by clicking "Retrieve Your Password" or "Forgot Your Password". If you are not registered in our online system, follow the instructions to create a new account (click Creating a new online account). When you've finished this process, return to the event page and click the "Register Now" button to register for the event you want to attend.